Sunscreens are designed to primarily block the ultraviolet band as it is considered to be the most dangerous. UVA, UVB, and UVC are the three categories that comprise the Ultraviolet (UV) radiation band. 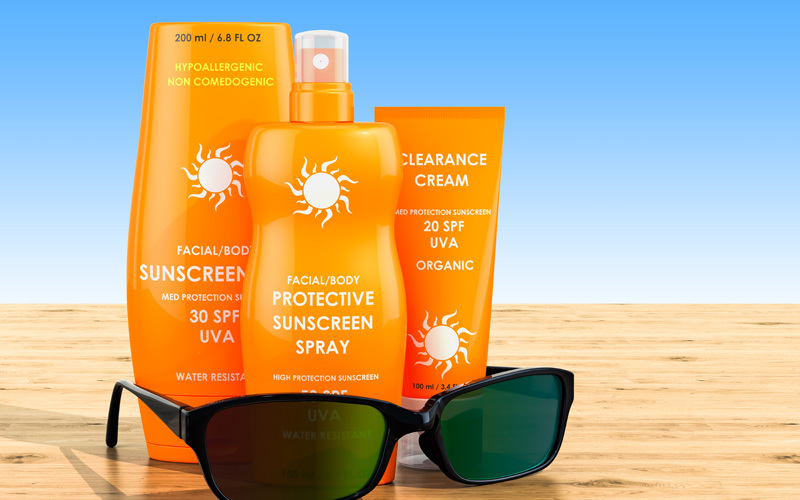 Since UVC radiation is typically blocked by earth’s atmosphere sunscreens that protect against a broad spectrum generally focus on UVA and UVB radiation. Any consumer product that claims to be a sunscreen or have sun protection claims must be tested to not only measure the SPF of the product, but also to confirms its active ingredients. Quantum carries out the complete chemical testing of raw material and the finished product for sunscreens. All raw materials, excipients and sunscreen actives are analyzed according to their respective USP compendial monograph. Analysis for the active ingredients of over-the-counter sunscreen finished products are performed by high performance liquid chromatography (HPLC). Our laboratories are capable of analyzing multiple sunscreen actives in finished products employing our fully validated in-house methods. For the inorganic sunscreens titanium dioxide and zinc oxide, analysis is performed using fully validated methods which employ closed vessel microwave digestion followed by analysis employing either AAS or ICP-OES.